Back pain is a debilitating condition that affects people of all ages. People suffering from back pain may find difficulty performing everyday tasks. Sitting, sleeping and participating in physical activities can be challenging. 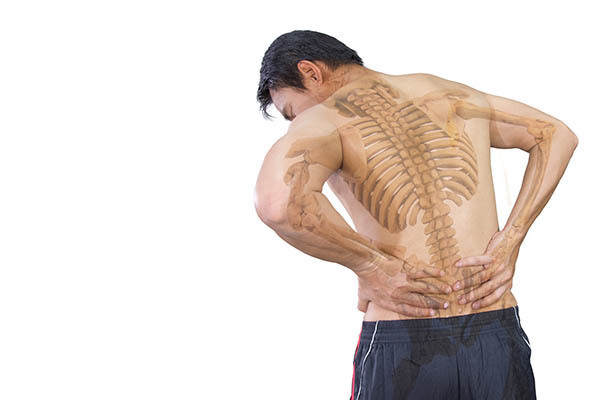 It is common to experience back pain after an auto accident. While seat belts are an incredibly important lifesaving device, when working properly seatbelts hold your body in place and prevent the spine from moving naturally in response to the force of an accident. Consequently the force of impact in conjunction with the seatbelt restraint may result in a spinal misalignment or herniated disc. When the spine is knocked out of alignment, the misaligned disc or discs can place pressure on nearby nerves triggering additional pain. Chiropractic adjustments can bring proper alignment back to the spine and alleviate this pain. Back and neck injuries from auto accidents cannot be prevented however a prompt diagnostic exam and effective care can help to prevent serious back and neck pain. Because delayed back and neck pain is common following a car accident it is easy to believe you are “uninjured” and neglect to seek treatment. Unfortunately, failing to seek prompt treatment can lead to months and years of chronic pain. Chiropractic adjustments help to correct the underlying spinal misalignments that exacerbate your pain. Together with physiotherapy, these treatments naturally relieve back and neck pain and bring a fuller range of mobility back to the body. Even a minor car accident can cause serious back and neck injuries. If you are experiencing back and pain symptoms, schedule a diagnostic exam today. As your Toms River Chiropractor, Dr. Jeffrey Gurrere performs spinal adjustments to help patients manage back pain. Dr. Gurrere can realign the spine which reduces pressure. This can improve communication between the brain and the rest of the body which can help speed up the healing process. It can also improve overall health and function. Chiropractic adjustments address the pain at its source while providing relief at the same time. At Maximum Wellness Rehabilitation, LLC in Toms River, we offer help for alleviating back pain with all-natural and gentle chiropractic care. Dr. Gurrere conducts a thorough examination of your back and entire spine to determine the best treatment. During the examination he will check your posture and identify the areas of restricted movement. After careful and thorough assessment of your entire spine and identifying the source of your pain, Dr. Gurrere will put together a comprehensive and individualized chiropractic plan that is designed to alleviate painful symptoms of your condition. Spinal manipulations can relieve pressure on the nervous system, promote spinal health and improve overall health. These adjustments are especially beneficial for providing relief from back pain. To learn more about chiropractic care for back pain in Toms River, schedule an appointment with our chiropractor Dr. Gurrere at Maximum Wellness Rehabilitation, LLC in Toms River, New Jersey by calling 732-328-9917 or filling out our contact form.